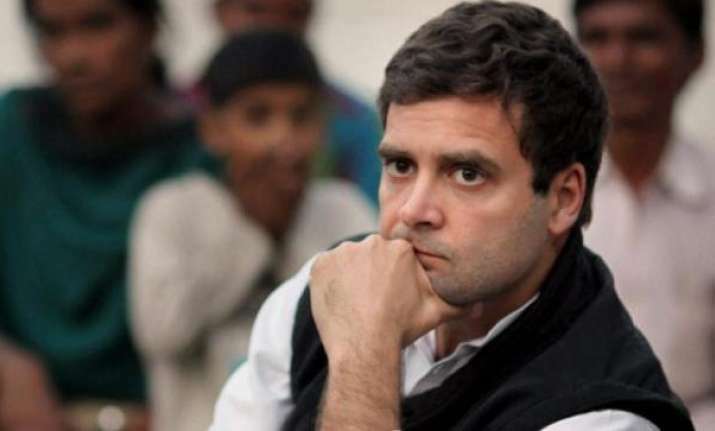 The BJP took a swipe at Rahul Gandhi over his support to Mamata Banerjee's opposition rally in Kolkata, saying it is natural that he will remember "didi" after "behenji", a reference to BSP supremo Mayawati, abandoned him. The BJP on Friday took a swipe at Congress president Rahul Gandhi over his support to Trinamool Congress chief Mamata Banerjee's opposition rally in Kolkata on Saturday, saying it is natural that he will remember "didi" after "behenji", a reference to BSP supremo Mayawati, abandoned him. At a press conference, BJP leader and Union minister Smriti Irani said the rally, which is expected to see the presence of a number of opposition leaders, "exposes" the saffron party's rivals as it suggest that they cannot fight it on their own. Asked about Gandhi's letter of support to the West Bengal chief minister's show of opposition strength, she retorted,"When behenji has abandoned (him), then it is natural that he will remember didi (Mamata)." "Opposition parties are today repeatedly saying that they can not fight the BJP alone and it has exposed their failure," she said, referring to rally. Leaders of over 20 opposition parties are expected to attend the rally at the iconic Brigade Parade Ground in Kolkata on Saturday to vow to put up a united fight against the "misrule" of the saffron party.